If XCOM 2 having a free weekend isn't your thing or the Tacoma giveaway on Humble Store then perhaps Cities: Skylines will be for you. From now until March 25th, you can download it completely free and play as much of it as you want. As a reminder, it recently turned four years old and it's showing no signs of slowing down with multiple thousands on it every day. If you do decide to give it a go, I highly recommend the Clouds & Fog Toggler mod from the Steam Workshop to give you a really clear view. 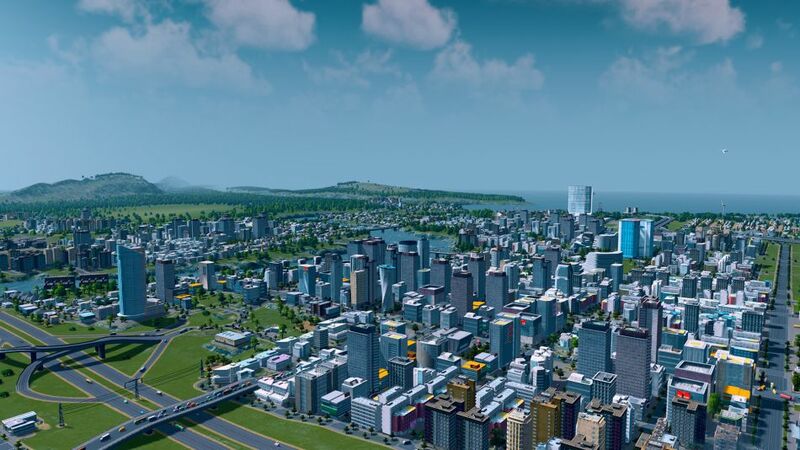 That's another thing that I love about Cities: Skylines, there's a huge amount of extra content available for it like maps, mods, scenarios and more. The mod selection is incredibly varied too from simple tools to automatically bulldoze abandoned or burned down buildings to adding in entirely new ways to play. Cities: Skylines is easily the most time I've ever spent in a city builder and I've played a lot of them over the years. It's not just the best on Linux, it's the best normal city builder around right now. My one wish is that they continue to work on performance, as a huge city can really bring it down which affects all platforms. Find it on Steam, as with XCOM 2's free weekend, Cities: Skylines is also on sale with 75% off as are various DLC so you could look to complete your collection if you already own it. it's a fun game, but the problem of it lately has been, it eats all my memory. it says on the steam page, 6gb recommended.. well, I have 8gb, and startup time takes forever, loading map takes forever, and it starts to get very slow after you've been building for a while..
it's better without the DLCs, but I like the DLCs, already played enough without them..
How convenient. I just got some new hardware and wanted to test this game since I remember it running poorly on my prior hardware. I love this game, except that they -really- need to fix the performance issues. I have a decent machine, and larger cities still bring everything down to a crawl. It's called Cities Skylines, not Town Skylines, so I feel I should be able to build cities occupying 25 tiles if I feel like it. Other than that, Cities is a laughably better city builder than anything EA ever made. Games are like entropy: provided you can always run older titles, the playable game count will always monotonically increase. And it feels more exponential than linear. Meanwhile, my free time has not been increasing, and this shows. Technology has been lusting for our attention, lately. Those three free games are very fine ones (or so I'm told, I've only played them a little bit), and I encourage you to play them if you have time to do so, but it feels like the marketplace is crowded and games are competing for our attention. It wouldn't surprise me if the industry picks this as a trend, and starts to favour that kind of games, eventually (if that's not already the case; there seems to be plenty of indies aiming for that niche. Now, I wish there was a dedicated category/gamemode for it). On the other hand, my trying to complete games on max. difficulty and earn every achievement hasn't helped, I guess. I like to complete games, but that makes them much longer. Well, maybe I need to indulge myself with playing on lower difficulties, and not exploring every area a game has to offer? What's your take on this? Is it better to "rush" trough the main story, and redo the game later if you really enjoyed it? I'm the kind to eat the best stuff on my plate last, but it's not helping. I was going to get this until I realised it has like 100 DLC's for $204 or something, if they ever have a COMPLETE pack for sale, like 90% I'd consider it. Paradox, the publisher of Cities: Skylines is a great publisher. They have a lot of Linux games on their website, and they have their own launcher that has a Linux version as well. They also let you link your account with Steam, so you can buy from Paradox directly, giving them the full cut of the sale, and activate the game on Steam as well, so you can play it from Steam. Or buy the game on Steam and activate it on Paradox's website, and play through their launcher. They also sell a lot of games through GOG. They give you the freedom to choose store, launcher and OS you want to use to play your games. Now that's my kinda publisher. Nice one Paradox. I have all the DLCs and created a city each time an expansion was out. Waiting for the next one. I also have way less time than I used to. I already liked denser experiences before, but I mixed them with 50+ hours experiences like classic CRPGs or Tactics (XCOM, Frozen Synapse, ...), puzzle games (Infinifactory, Talos Principle, ...). Now I bought Tyranny, Pillars of Eternity II and Torment: Tides of Numenera before my money goes directly to MS, with the knowledge I won't be able to play them the next time (until my children have grown bigger). It seems the industry trend, the big industry's an least, is more like eternal ("service") thin games than dense short ones. But the indie section is serving these needs fine, IMHO. What I already did before and will continue: I'm only playing of a game what's fun to me, to the extend to giving up on Mad Max because it became just too tedious. In Shadow of Mordor e.g., I played quickly through the second half as I didn't find the side quest interesting enough enymore.